Let’s face it; These days we are all really busy. 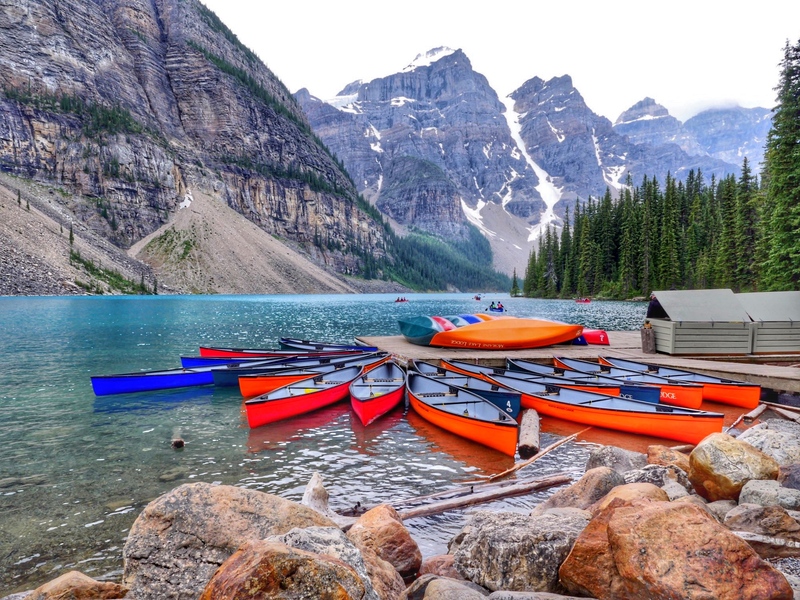 As a child, I don’t remember having quite as many scheduled activities, nights out or weekends away as we do now. One of the things I do vividly remember is having taco night with my family. These memories and the desire to create new ones with my kids are why we are committing to making time for fun with Old El Paso this year. There is a reason the trend of Taco Tuesday is still going strong. Tacos are an easy to make and fun to eat meal for families. As a child, I remember the joy of seeing my mom pull out the Old El Paso Taco Kit and now see the same joy on my kids’ faces. We don’t restrict our taco eating to Tuesdays but we do try and have taco night at least once a week. 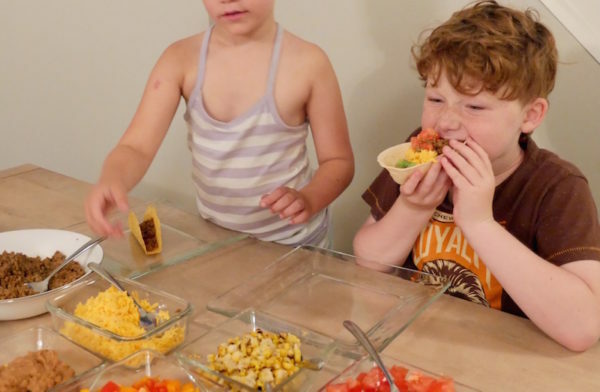 Beyond being an affordable and fun meal, tacos are great for kids for other reasons. I find my kids’ vegetable intake is two or three times greater on taco nights. I also like that the kids can help prepare tacos and learn proper cooking and knife techniques. This year, I will be working as an ambassador with Old El Paso to bring you exciting recipes and fun contests to spice up your taco nights. 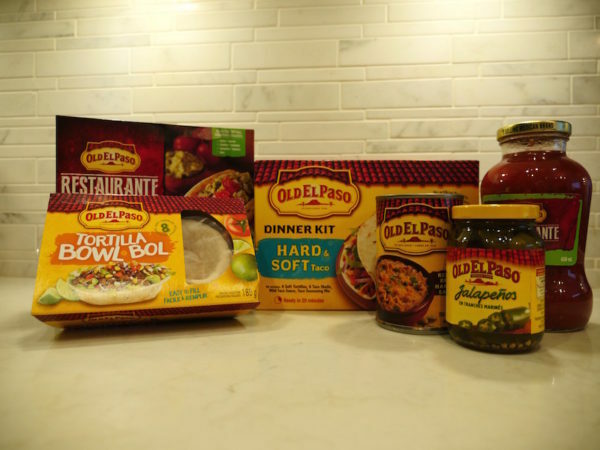 I’ll be talking about not only the Old El Paso Taco Kit we all know and love but some of their newest products like the regular and mini size Taco Bowl which has been a big hit at my house this summer. 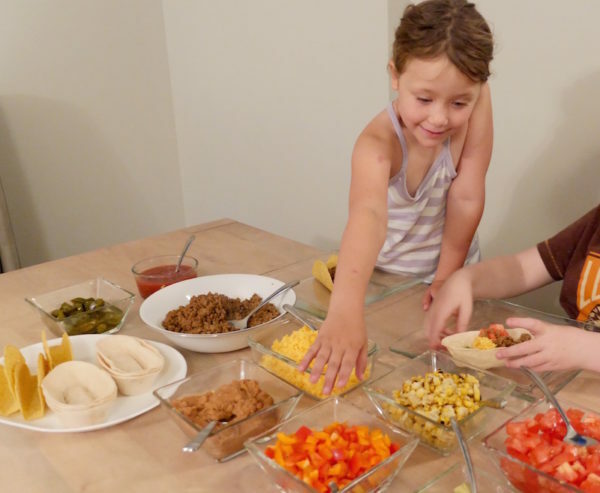 If you are itching to get started on throwing an epic family taco night, here are my go to tips to get you started. You don’t need to search too far to find easy and fun products to try out with your kids at home. At our house, the hard and soft dinner kit does the trick. Grab some fresh beef, chicken and turkey and a kit at your local grocery store. I find taco night goes best when I let my kids do the shopping for fresh vegetables and toppings. I let them stroll the aisles and often pick up vegetables that aren’t usually found on tacos. Some have been a hit and others a miss but with the kids making the decisions, I find they are much more interested in adding veggies to their plates. While we are preparing taco dinner, I like to slip in a few things the kids haven’t tried from fresh guacamole to different types of herbs and spices. I’ve noticed that on taco night, my kids are more willing to try new things especially since they are making their own tacos. 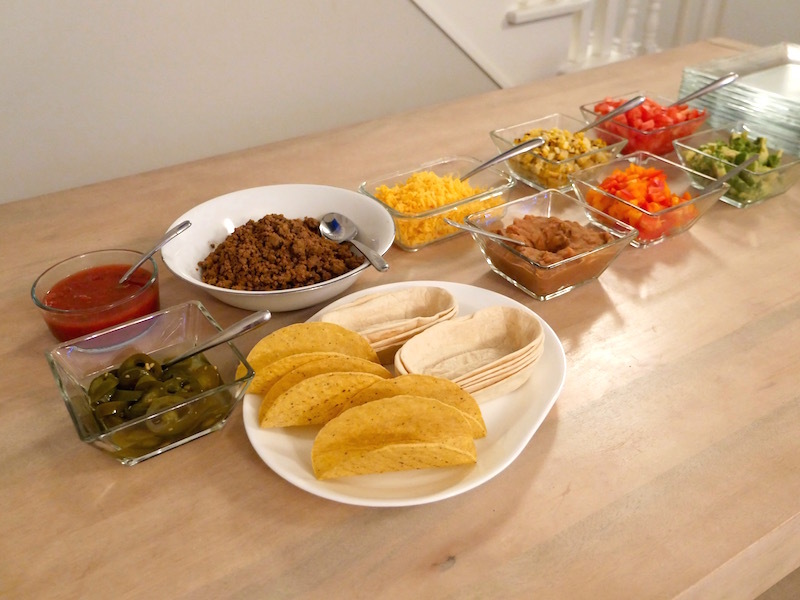 Taco night sets the tone for a fun family night. Don’t let it end when the tacos are done. I like to pick out 2 or 3 games to play that really get the kids laughing. My go-to game for taco night is Pieface. A game where you spin a dial and risk getting a face full of whipped cream. It also doubles as dessert. As the year continues, check back for more ideas, recipes and contests from Old El Paso. Together, we can explore more in the product line than my go-to dinner kit, try out recipes that take you beyond the box, and have fun with our kids at the same time. Love the pieface game working as a double for desert!